Raised on a farm in Michigan, I joined the U.S. Navy at 17 (Vietnam Era) and served aboard a nuclear ballistic submarine (Thomas Jefferson) and an aircraft carrier (Intrepid). While my high school academic focus was medical school, I kept feeling pulled into Biblical Studies and Psychology after my time in the military. I have served in many hospitals and community mental health agencies, and have taught in K3-12, undergraduate, graduate, and doctoral programs for about 35 years. My teaching philosophy surrounds the premise that my role is to teach people how to think, not what to think. While the old adage (“Those who can, do; and those who can’t, teach.”) is touted about, I long ago learned that those who can, do; those who have, can teach; those who haven’t, can learn; and those who refuse to learn, won’t. My prayer for every student is to embrace lifespan learning from every perspective possible (spiritually, intellectually, emotionally, relationally, culturally, etc. ), truly going where few have gone before! I have served in 9 hospitals (medical-surgical and psychiatric) in several states over the decades, holding key clinical, supervisory, and administrative roles in each post. I successfully navigated various accreditation processes with JCAHO, HCFA, OSHA, etc. during those years. I also served as the superintendent for a K4-12 school in Dallas, Texas, for more than four years, obtaining full accreditation from the Southern Association of Schools and Colleges (SACS), one of the six regional accreditation groups in America, during my first year in that role. I have co-launched several non-profit agencies through which to serve various human needs, which is a primary driving passion. I served in team management roles in several factories during my earlier college years, and was tasked as an Educational Petty Officer in the US Navy at 17 years old. 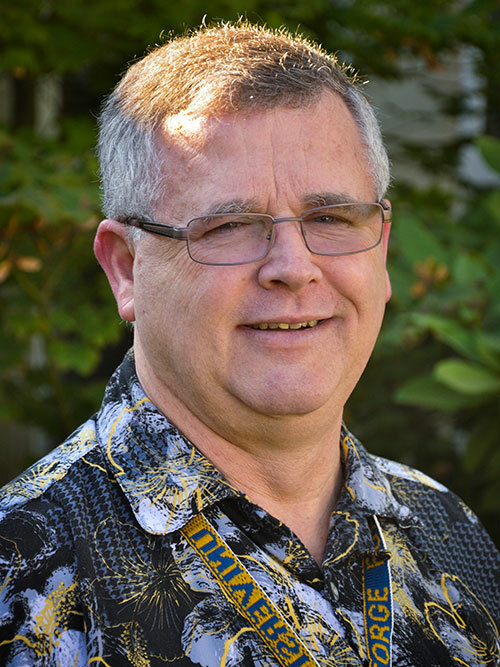 I began my teaching career in 1978, serving as an adjunct undergraduate professor in Oregon, and as an adjunct graduate professor in Texas from 1989 to 1993. I accepted my first full-time teaching contract and moved to Colorado in 1993, and also served adjunct needs for two other university graduate programs during that time. We moved to teach full-time with GFU in 1994. I began providing mental health and counseling services in 1975 and maintained a pro bono service one day each week for those without insurance until 2008. I will likely launch this service again in 2016. My research interests began while exploring psychological and spiritual service needs of Christian parishioners, which led to training seminars for pastors representing some 25 denominations in various states. I continue to use that research as the foundation for “Life Problem Seminars” I have facilitated, as well as for Sunday School classes I have taught for decades. Due to my extensive service within the medical and psychiatric treatment communities, my interests in Behavioral Health Psychology also remain strong. Because I consult with and empower non-profit agencies, exploring what helps such agencies become more successful remains a driving passion. Lloyd, C. (2013). The perceptions of behavioral health psychology held by medical personnel in Oregon. (Doctoral dissertation, George Fox University). Dissertation Abstracts International. Hall, L. M. & Lloyd, C. (1994). Neuro-Linguistic Programming and the New Age Movement. Grand Junction, CO: Empowering Press. Lloyd, C. (1990). Overcoming depression: How to put some ups in your downs. Counsel and Care, 1(2), 1-2. Lloyd, C. (1989). The impact of role-expectation cognitions upon test-taking. (Doctoral dissertation, University of Texas). Dissertation Abstracts International. Lloyd, C. (1988). How to get over perfectionism. Metamorphosis Journal, 8(7), 3-4. Lloyd, C. (1987). The emotional shockwave and the genogram: A systemic study of the shockwave across six generations of OCD. Metamorphosis Journal, 7(3), 3-8. My bride and I married in 1974, and we adopted three infants who were born in Philadelphia (1980, 1981, and 1988). We now have 11 grandchildren and an aging spoiled Rat Terrier. We have pastored small home missions churches and mega-churches (>1,800 members) in Oregon, Washington, New Mexico, New York, and Texas. We have been serving community and Christian needs together since 1973.